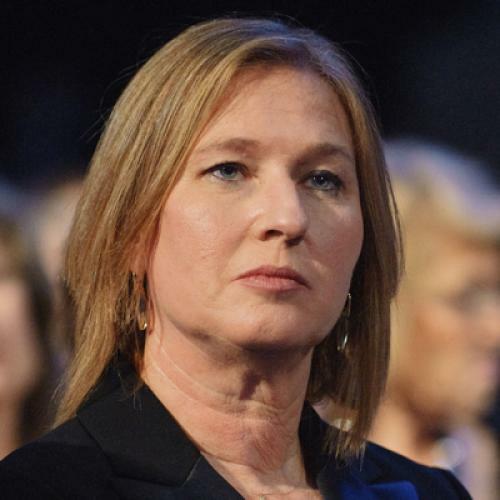 In a slightly different version of history, former Israeli foreign minister Tzipi Livni would now be finishing her eighth month as prime minister instead of announcing the formation of a new political party. Following the 2009 elections, which ended in a virtual tie between Livni’s centrist Kadima Party and Benjamin Netanyahu’s right-wing Likud Party, Netanyahu proposed a Likud-Kadima coalition with an unusual arrangement at the top: For the first three years of the government’s term, he would serve as prime minister while she would continue as foreign minister, and for the last year and a half they would switch places. Livni said she would agree if Netanyahu made the rotation equal or excluded one of the midsized right-wing parties from the coalition, but he refused both conditions. Ultimately, neither side budged and the deal collapsed. Now, eight months after she was deposed as Kadima’s leader, Livni is back with “The Movement”—a new centrist party that will compete in Israel’s January 22 elections. Her return caps a hectic few days in Israeli politics that also saw the retirement of longtime Defense Minister Ehud Barak and the TeaPartization of the Likud. Short of a surprise last-minute entry by former Prime Minister Ehud Olmert, who’d been plotting a comeback but is now expected to remain on the sidelines, Israel’s election preseason is essentially over. After months of speculation, unexpected alliances, and ever-crazier scenario polls, the players are known and the contest can begin. But here in Israel, the reaction was muted. Unlike 2009, when Livni had a real chance of becoming prime minister, nobody today doubts that—barring some seismic event over the next two months—Benjamin Netanyahu will keep his job. Netanyahu’s commanding lead in the polls explains why Olmert apparently soured on the idea of a comeback. And it’s why Livni reportedly explored several options before embarking on her current course, from teaming up with Olmert to joining Labor to supporting a run by Israeli President Shimon Peres instead (the 89-year-old statesman rejected Livni’s pleas to throw his hat in the ring, though Netanyahu privately cited the specter of his return as a reason for the Likud-Beiteinu merger). And yet polls for the next Knesset belie a stubborn but often-overlooked fact: Netanyahu is not popular, boasting approval ratings as low as the thirties. Unlike Ariel Sharon, who enjoyed near-mythic status among the broad Israeli center during the heady days of the Second Intifada, Netanyahu is widely seen here as the politician's politician—tolerated, respected maybe, but neither admired nor loved. Ask a Likud voter these days why he supports Netanyahu, and the typical answer is some variation of "who else is there?" The fact that Netnayahu became prime minister in 2009 might have seemed unfair to Livni and to the plurality of voters who picked Kadima (the party actually won one more seat than Likud), but it reflected the balance of power in the negotiations—a balance that has only shifted further in Likud’s favor since. Because Israel doesn’t directly elect its prime ministers, the prize goes to whichever party leader can form a majority coalition. In 2009, Netanyahu—with the support of Lieberman, the ultra-Orthodox, and the pro-settler parties—had 65 incoming right-wing members of the Knesset in his pocket without Livni (he needed only 61). Livni, whose natural allies on the left—Labor and the leftist Merez—won a combined 16 seats, had only 44 (down from the 60 seats centrist and left-wing parties won in 2006). Polls here have fluctuated wildly since 2009, as new parties like journalist Yair Lapid’s Yesh Atid (“There is a Future”) have formed and existing ones like Kadima have crumbled. But the right-wing bloc’s overall advantage against the center-left has held and, if anything, widened. The eight most recent polls show vastly different fortunes for “Likud Beiteinu” (from 33 to 41 seats), but seven of them show the rightist bloc with 69-71 seats, some 30 more than the center-left (the anti-Zionist Arab parties, which generally poll at 10-11 seats and have never been part of a coalition, belong to a separate category). Any polling swings over the last four years have occurred largely within these increasingly distinct blocs. Labor, for example, surged after it elected popular former journalist Shelly Yacimovich party leader, but its gains came almost exclusively at Kadima’s expense. Ditto with Lapid’s Yesh Atid. This dynamic illustrates why criticism from the right of Netanyahu for agreeing to a quick ceasefire with Hamas doesn’t matter electorally. Most voters truly incensed with him have defected to the pro-settler Habayit Yehudi (“Jewish Home”) Party, which has publicly committed to joining Netanyahu’s next government. For Netanyahu, the results of the Likud primaries, which elevated right-wing extremists and sidelined three moderate senior ministers, could prove far more problematic, potentially precipitating an erosion of Likud support on the soft right. If the three ministers in question (Dan Meridor, Benny Begin, and Michael Eitan) decide to join Livni’s party—parties have until Dec. 6 to finalize their candidate slates—things could get interesting. Barring such a scenario, Livni alone fails to upset the right-left equilibrium in a way that a center-left figure with true crossover appeal (like Peres or former IDF chief of staff Gabi Ashkenazi) might. Her party will take away seats from Labor and Yesh Atid, but few from the right, and is therefore likely to be electorally inconsequential. That’s not to say Livni’s return to politics is unimportant. With the other center-left leaders focused on their own pet issues—Yacimovich on income inequality, Lapid on a new social contract with the ultra-Orthodox—Livni will be the only major political figure in this race to make the moribund Israeli-Palestinian peace process a priority. In Israel’s political cacophony, Livni again provides a clear voice saying what’s become increasingly obvious: that with a rising Hamas and an aging President Mahmoud Abbas, Israel’s chances for striking a final-status agreement with the Palestinians are quickly evaporating. Whether Israelis will listen is another matter.